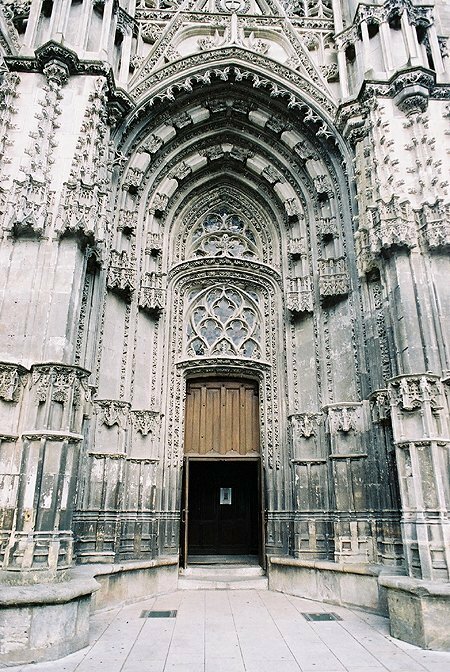 The magnificent St Gatien Cathedral was built between the 12th and 16th centuries in a medieval and later renaissance gothic. On the site of Roman Caesarodunum, St. Lidoire built the first church. 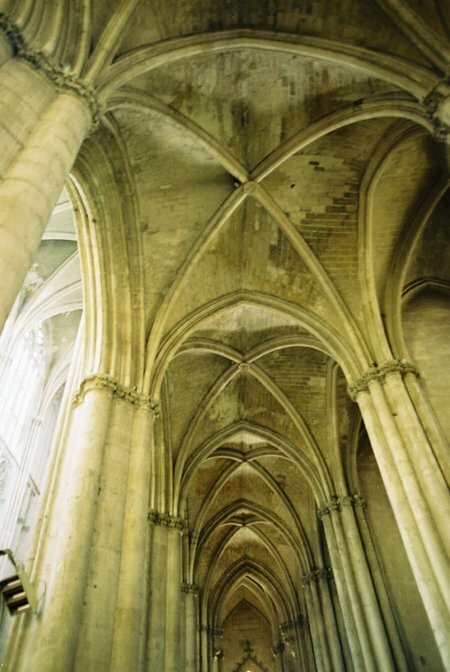 Frankish and Romanesque churches followed, before the present cathedral was begun in the 13th century. 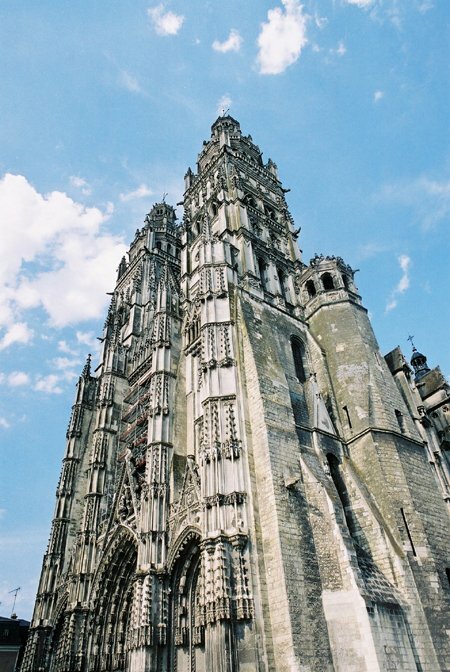 The cathedral’s dominant features are the two elaborate spires on the west front. 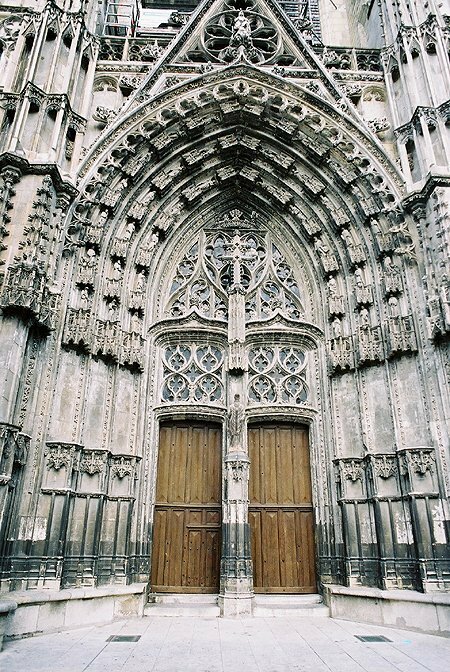 This main facade also had three ornate doorways into the main body of the church. 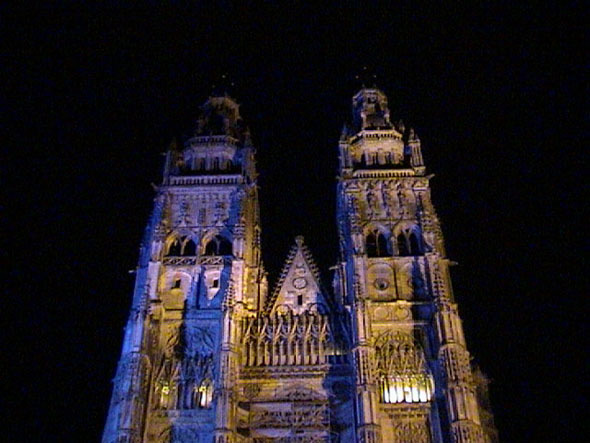 By day and night the cathedral is dramatic with its colourful floodlighting at night. The sides of the cathedral are dominated by the many flying buttresses and small spires which cap them. On the northern side is the Cloister de La Psalette, a remnant of the much larger monastery which was once here. 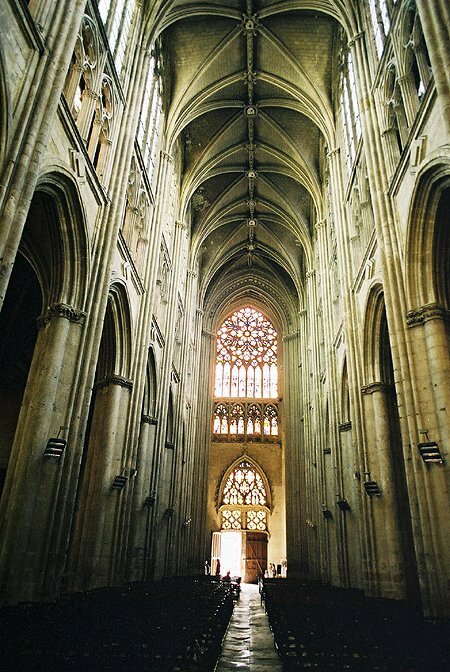 The magnificent St Gatien Cathedral was built between the 12th and 16th centuries in a medieval and later renaissance gothic. 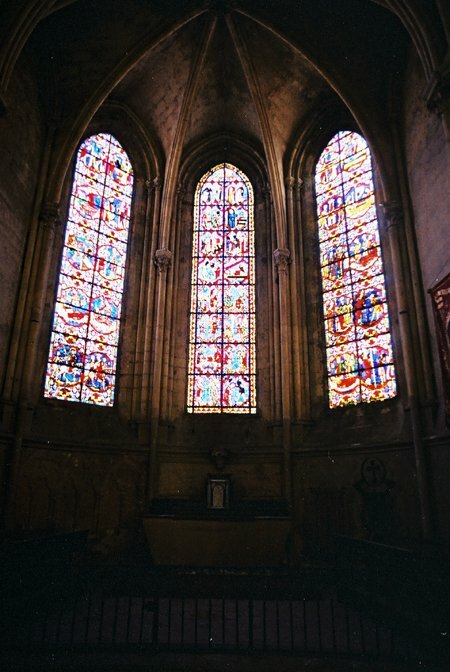 The fabulous soaring interior of the church leads the eye naturally and easily to the beautiful apse with its large stained glass windows. To the left hand side of the apse is a large stone area where the cathedral was damaged during the war. 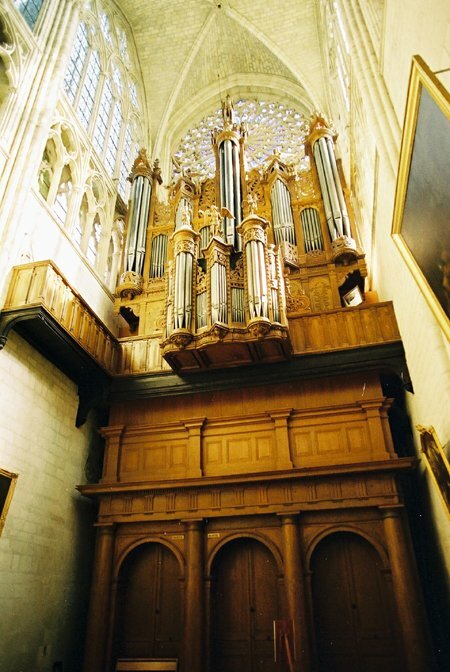 The northern transept is dominated by the massive organ. 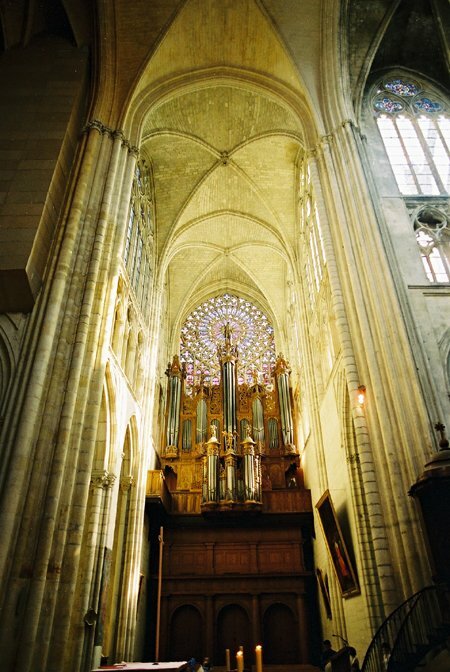 Throughout the cathedral, the quality of the light streaming through its many windows gave the building an air of tranquility and peace even when filled with tourists. Sunlight through the windows give the stonework a golden hue. 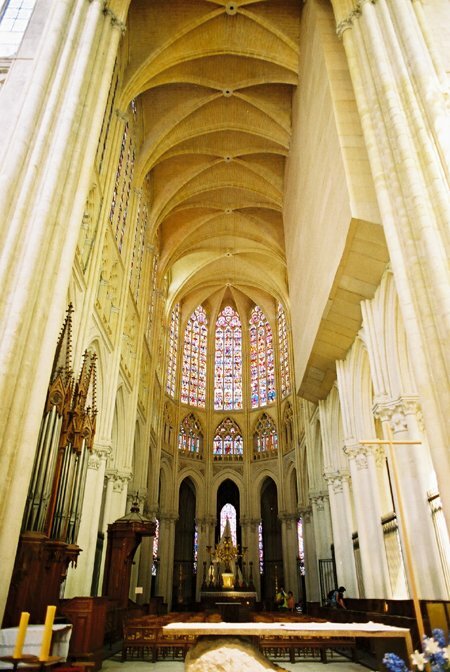 In the opinon of Archiseek.com this is one of the finest cathedrals in France for the impact of its twin spires and its soaring interior.